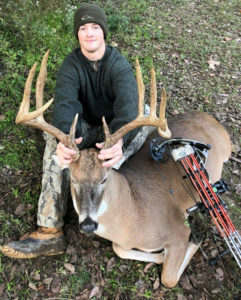 Zach Jones arrowed this giant Ashbrook Island buck, which green-scored north of 164 inches. For Zach Jones, a 17-year-old junior at Sterlington High School, downing big bucks has almost become second nature. When he was just 11 years old, he used a rifle to lay a 170-inch buck on the ground. The following year using his crossbow, a 140-inch buck bit the dust. 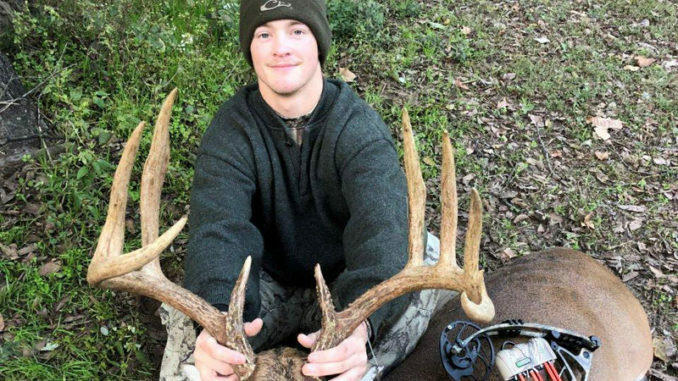 And last weekend, the 17-year-old used a compound bow to arrow a big 165-inch 11-pointer on Ashbrook Island, a 6,000-acre chunk of real estate adjacent to the Mississippi River in Washington County, Mississippi. On Saturday, Nov.10, Jones climbed into a box stand overlooking a 300-yard long food plot planted with winter wheat. 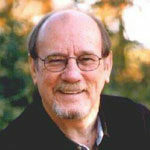 As he sat in the stand, he was looking at a thicket on to his left and a small stand of open woods to the right. Along the edge of the open woods was a grove of persimmon trees that storms had recently hit hard, and deer were targeting the fallen persimmons. Zach Jones arrowed this giant Ashbrook Island buck from 30 yards on Nov. 10. The big 11-point green-scored north of 164 inches. At around 3:15 that afternoon, he had sat only a few minutes before about 10 does came out from the woods and started working on the fruit. When the big buck stepped out, Jones knew it was the one he was targeting. It was the first time he’d seen the deer this season; all other sightings were via trail camera images. It was the heaviest buck he’d ever shot, tipping the scales at 250 pounds. The giant rack featured 11 points, with an inside spread at 19 ⅞ inches, and main beams over 24 inches long, with 12-inch G2s. The buck green-scored a whopping 164 ⅞ at Simmons Sporting Goods, where it currently sits in first place in the men’s archery category.